Kings carpet pushing harder on resolution. We know what you are thinking. You are thinking we have forgotten our New Year’s Resolution. Most people, sadly, have long forgotten about their resolutions and have moved on with their lives. Not us at Kings Carpet Solutions. We are still working hard on our resolution to provide even better customer service, superseding our already stellar work we provide to our customers. We intend to push harder than before. That brings us to this month’s blog. 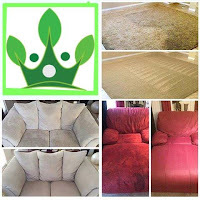 We have looked pretty hard at carpet cleaning techniques and tips, but we want to share a bit about what we do on a daily basis to bring you, the customer, the care and quality of service you have come to expect from us. This is a bit about why it may take us some time to get to you and to your carpet cleaning appointment. We start our day like most days. We arrive at work and check the schedule. 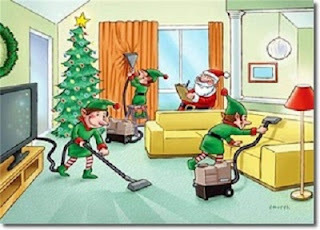 Our customers who have scheduled cleaning often are first on the list, so we try to get to them first. Our newer customers are worked into the schedule of the day. We then turn our attention to our service vehicles. We want to be 100 percent sure that we have everything to get the day going. Even missing one part of our inventory check could set us back significantly from getting to our valued customers, so we take our time with this step. It may take a bit longer, but we like to err on the side of caution when it comes to being ready to meet our customer needs. We offer a service. Those who provide a service often have issues that arise. Mostly our issues come from the fact we strive to meet our resolution on customer service. We cannot leave until our customer is 100 percent happy. This is quickly resolved by staying until the work is done but doing so can put us behind by as much as a few hours. This is not something we like to admit, but it happens. Other times it could be a myriad of reasons that we are behind on coming to your home to clean carpets. We will not cut corners to get to more customer homes. We stand behind our work and insist on not compromising our standards. Kings Cleaning Solutions, Customer service is more than just treating the customer fairly. We hope your New Year’s Resolutions are in full swing and maintaining them has not been an issue. Faithful readers of our blog know we take our work and customers very seriously, and we are working harder and harder every day to keep our customers happy. You may well recall our New Year’s Resolution was to provide even better customer service than in the previous year. This is going to be very difficult because we already strive to provide the best possible customer service in the carpet cleaning industry. This brings us to this post. There is a great deal of conversation about customer service, but too often, customer service is not clearly defined. We are going to attempt to define customer service today. Customer service is more than treating the customer fairly. It is taking every element of the customer’s desires, needs and requests into consideration. If it is feasible and within reason, there is no question that those three things will be met with a smile. Customer service is also taking pride in what we do for the customer. We have homes and carpet. We have a solid idea and understanding of what carpet should look like at the end of a thorough, professional cleaning. This idea in mind, we take it upon ourselves to have the customer’s carpet looking the exact same way or even better. With our top of the line, professional equipment , it is very easy to make carpet look as if it were installed the day before yesterday and keep it looking this way for years to come. Most of all, we have to understand the customer’s role in our work. It is the customer that puts food on our tables, pays the utility bill and keeps clothes on our backs. Without the customer, we would be dead in the world. This means having our customers satisfied at all times means we are able to be equal parts of the local community, something we take pride in being able to say. Contact us today for any of your carpet or floor care needs.